Remember that recent slump Nazem Kadri was on? The drought that probably had you seriously considering dropping him? Well, after his one point in 20 games run, Kadri appears to be finding his way back into the good graces of his owners, tallying four points (three goals, one assist) over his last four games. 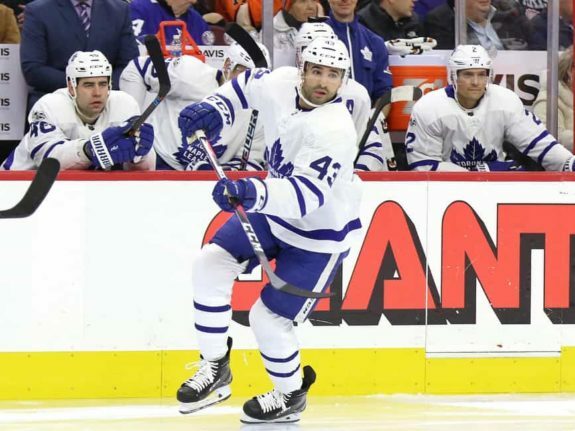 Given his significant role in the Toronto Maple Leafs offense, as well as centring the second power play unit, it was only a matter of time before he rebounded. A relatively new name to the fantasy hockey circles, Anthony Beauvillier is garnering plenty of attention lately. With injuries continuing to pile up for the New York Islanders, Beauvillier has stepped into a role on the second line, playing alongside rookie standout Mathew Barzal and veteran Jordan Eberle, where he’s been thriving. He has five points (four goals, one assist) in his last three games, as well as 10 points over his last eight games. It’s still too early to tell whether he can keep this pace up, but at 20.3 per cent ownership increase, fantasy owners are liking what they see. It wasn’t too long ago Colin Miller was listed in the waiver wire section here, and his recent run of offense is exactly why. Through his last three games, Miller’s tallied five points (two goals, three assists), three of which came on the power play. Prior to this outburst, he had gone eight games without registering a point, so it’s nice to see owners that stuck with him or added him are being rewarded. Although he won’t keep up this current three-game pace, he’s proven he can rack up the points. 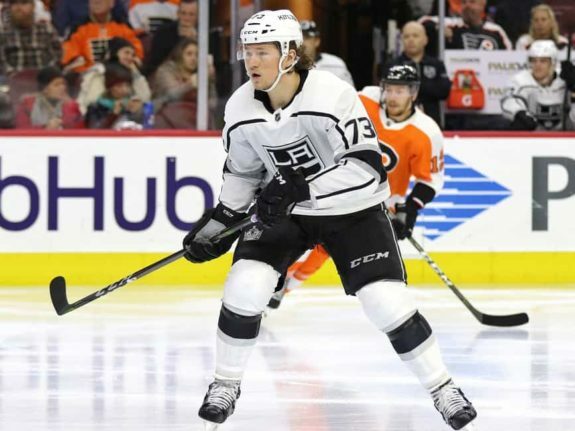 It’s no secret the Los Angeles Kings are a far cry from where they were to start the season, which includes the fantasy output of the majority of players on their roster. Unfortunately for Tyler Toffoli owners, he’s ones of those players. In his last nine games, he’s managed just a single point, despite maintaining his top-six and power play roles. He still sits with 30 points (18 goals, 12 assists) on the season, so he’s proven he’s still worth rostering. But it’s probably wise to temper expectations until he gets back on track. There was a point this season where Evander Kane was among the overall leaders in fantasy points. Well, his owners are probably missing those days in a big way right now. Over his last nine games, Kane has just a single assist. In all fairness, he’s not seeing the same ice time he was earlier in the season, now playing on the third even strength line and second power play unit. With his movement down the lineup, a slight decline in production was expected. He still sits with 36 points (16 goals, 20 assists) in 49 games this season, so he’s worth holding onto to see what the future holds. It was only a few weeks ago fantasy owners were dying to have a piece of the New York Islanders top power play unit. John Tavares, Josh Bailey, Mathew Barzal, Anders Lee and Nick Leddy were all nearly unstoppable. While four of the those five players continue to be productive, Leddy has hit a wall. In his last nine games, he’s tallied just a single assist. His 29 points (6 goals, 23 assists) in 50 games are still solid numbers for a defenseman, and he remains on the top defensive pairing and power play unit, so expect him to return to his top form soon. This is now the fourth week in a row Tomas Hertl has been listed here, and for some reason he’s still available in over 50 per cent of leagues. 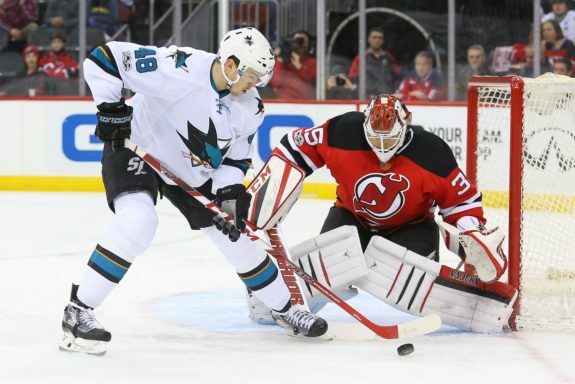 The main attraction to Hertl remains his role on the lethal top power play unit of the San Jose Sharks. His stock should rise even more with the injury of Joe Thornton, as the Sharks will lean on Hertl much more for offensive production. He currently sits with 29 points (14 goals, 15 assists) in 48 games, and his pace will only increase with Thornton out. Don’t miss out on a chance to add him. What’s not to like about Jordan Staal? He plays in every possible scenario on the ice, including the top line and top power play unit. Through 49 games, he’s up to a solid 30 points (14 goals, 16 assists). Other than the most shallow leagues, Staal needs to be at least owned in the majority of leagues. He’s could very easily reach the 60-point plateau this season, and if he does, you won’t want to miss out. It’s been tough to predict the production of Jesper Bratt this season. 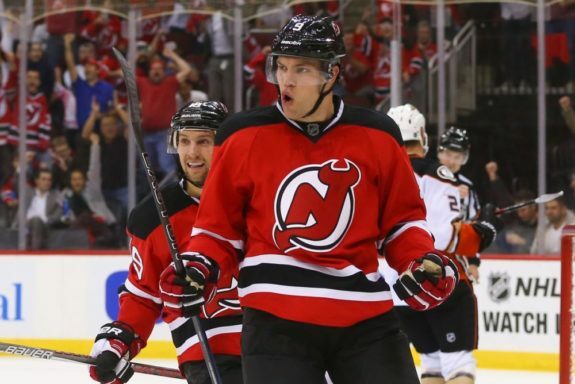 His offensive output relies heavily on his placement in the lineup, and the New Jersey Devils have been shuffling their lines a lot this season. As it stands right now, Bratt is exactly where you want him to be for fantasy purposes. He’s currently on both the top even strength line and power play unit, and that alone makes him worth owning. His 30 points (12 goals, 18 assists) in 47 games are just more incentive. Grab him now while he’s getting all the looks. There’s still no firm timetable for Shea Weber’s return, which makes Jeff Petry a solid add. Reliable defensemen can be hard to come by in fantasy hockey, especially the ones that quarterback the first power play unit. Although Petry’s 22 points (5 goals, 17 assists) may not jump off the page, he can absolutely be started until Weber returns. So, if you’re in a bind because of injuries or are just weak at defense, he’s worth picking up. Everyone in the fantasy hockey world is obviously in love with Nathan MacKinnon, Gabriel Landeskog and Mikko Rantanen. But don’t forget about Alexander Kerfoot. When given the opportunity in a top six role and on the number one power play unit, he has been nothing short of spectacular. Well, he’s back in those roles again, and poised to add to his already solid 32 points (12 goals, 20 assists) in 45 games. He’s worth an add in the majority of leagues as long as he playing alongside the big boys. After being cut by a skate in the LA Kings’ game on Oct. 18, Carter was expected to miss 6-8 weeks. Recent reports say he could be out until February, but he has recently began skating on his own. Luongo is expected to miss multiple weeks with a lower-body injury suffered Dec. 4. 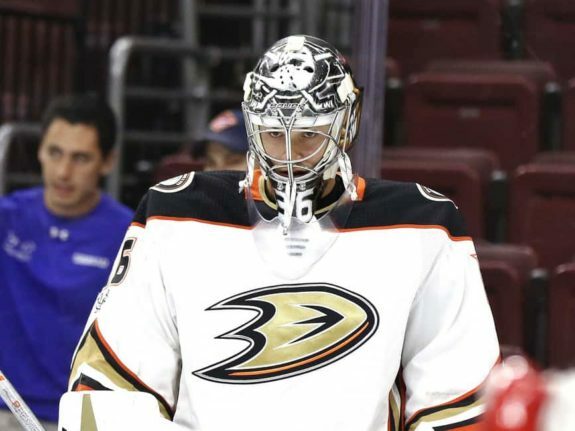 No definitive timeline for his return has been set, but he did practice in full gear this past week for the first time since the injury, and a return in early February is now considered a possibility. 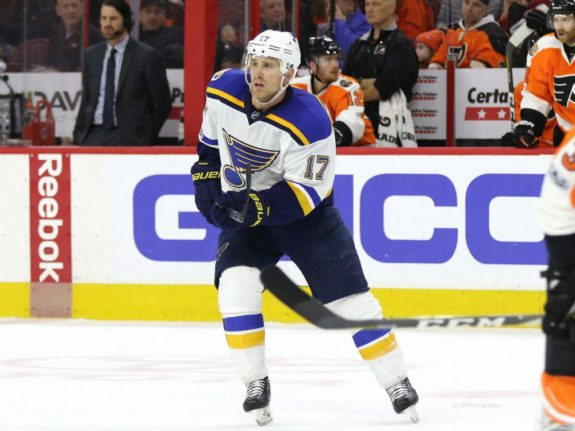 Schwartz returned to the St. Louis Blues lineup Jan. 25. Barrie suffered a fractured right hand Dec. 23 and is expected to miss 4-6 weeks. He took part in morning skate on Jan. 19, so his return is drawing closer. Niederreiter suffered a lower body injury Jan. 6 and was originally expected to return following the Minnesota Wild bye week. He’s been practicing over the past week, and the Wild are hoping to have him back in the lineup Feb. 2. Weber has been given some time to let his foot injury heal. He’s considered out indefinitely. Frolik suffered a fractured jaw Dec. 28 and is considered week-t0-week. He has recently been practicing without a no-contact jersey on, so he should return within the next week. 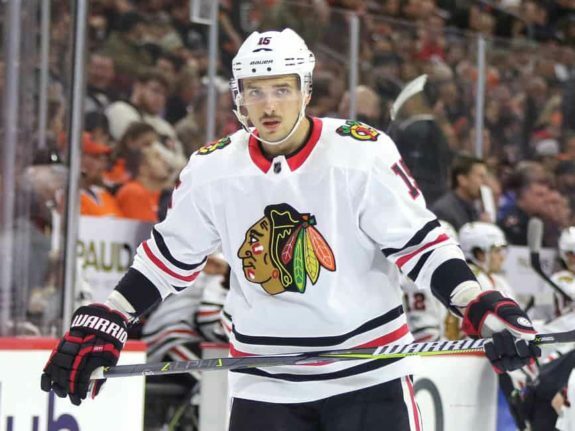 Anisimov returned to the Chicago Blackhawks lineup Jan. 22. Crawford was placed on IR Dec. 27 with an upper-body injury. He remains out indefinitely but recent reports say the Blackhawks are hopeful he will resume skating soon, and travel with the team on their road trip following the all star break. Atkinson returned to the Columbus Blue Jackets lineup Jan. 25. Forsberg suffered a broken hand Dec. 29 and is expected to miss four-six weeks. Kreider underwent successful surgery Jan. 9 and will be re-evaluated in six weeks. 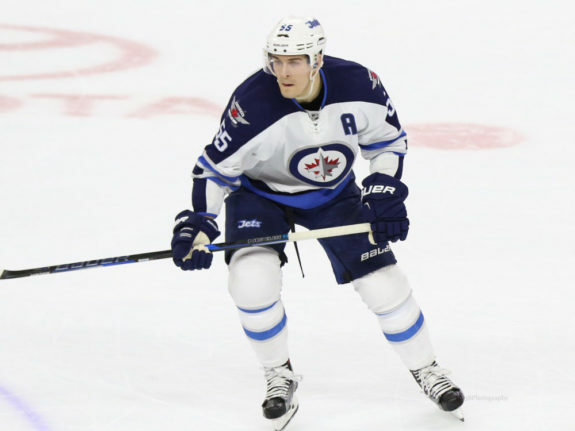 Scheifele suffered an upper-body injury Dec. 27 and is expected to be sidelined 6-8 weeks. Aho suffered a concussion Jan. 14, and there’s no timetable for his return. He took part in the Carolina Hurricanes optional skate Jan. 25. Varlamov suffered a minor muscular injury Jan. 2, and still has no firm timeline for a return. He skated on Wednesday, and there’s hope he will return following the all-star break. Abdelkader suffered a lower body injury Jan. 13 and is considered day-to-day. He resumed skating Jan. 24 and could return for the Detroit Red Wings first game following the all star break. 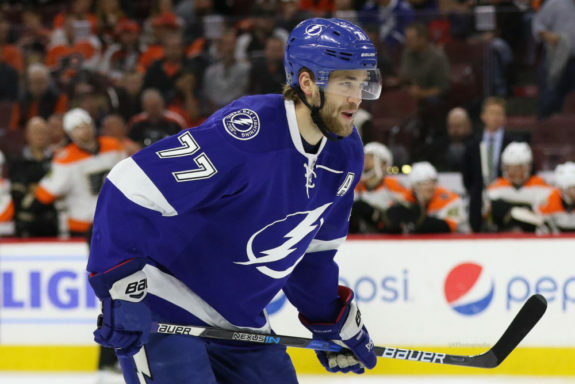 Hedman suffered a lower body injury Jan. 11 and is expected to miss three-six weeks. Tampa Bay Lightning GM Steve Yzerman recently said he could be closer to the three-week timeline. Shattenkirk will undergo surgery to repair a meniscus tear and will be out indefinitely. Murray will miss an undetermined amount of time due to the passing of his father. Jones is dealing with a lower body injury, but is expected to return following the all star break. Rielly is dealing with an upper body injury, and missed Saturday’s game as a result. He’s still considered day-to-day. Gibson suffered a lower body injury Jan. 25 and left the game as a result. There has been no update on his status heading into the week. McAvoy underwent a procedure Jan. 22 to treat an abnormal heart rhythm. He’s expected to miss two weeks. Reimer suffered a groin injury Jan. 23 and is expected to miss at least two weeks. Johansson suffered a concussion Jan. 23 and should be considered day-to-day until an update is provided. Schneider suffered a groin injury Jan. 23 and was forced to leave the game. He’s considered day-to-day for now. Hall suffered a thumb injury Jan. 20 and has missed the past three games as a result. An update should be provided prior to the New Jersey Devils game on Thursday. Stone suffered a knee injury Jan. 20 and has missed the past three games. It’s not expected to be serious, and he may return to the Ottawa Senators lineup on Tuesday. Elliott is dealing with a lower body injury that’s considered minor. He’s currently day-to-day. Thornton suffered a knee injury Jan. 23 and left the game. He has underwent arthroscopic surgery on his knee and is expected to miss several weeks. A more definitive timeline should be provided this week. Kuznetsov suffered a leg injury Jan. 25 and is considered day-to-day until more details are known. It’s not believed to be serious.